Samsung launched the Samsung Gear 360 on Sunday February 21st, 2016 but it has largely gone unnoticed. This as most of the attention has been lavished on the Samsung Galaxy S7 and S7 Edge and its Vulcan API support, Waterproof design and a return to expandable storage as chronicled in Samsung Galaxy S7 and S7 edge makes a big splash at MWC 2016. Available starting Q2 2016 in select countries, the Gear 360 allows you to take panoramic videos and still images but in a 360 degree format. It’s compatible with the newly released Galaxy S7 and Galaxy S7 Edge, Galaxy S6 Edge+, Galaxy Note 5, Galaxy S6 Edge and Galaxy S6. It synchs with these smartphones via Wi-Fi, making it possible to stream content straight from the camera. I can probably see why there isn’t much buzz about the Samsung Gear 360, as the Samsung Galaxy S6 can already do Panoramic videos and pictures as noted in How to take High Quality Photographs with the Samsung Galaxy S6. So what’s so special about a camera that can take panoramic pictures? 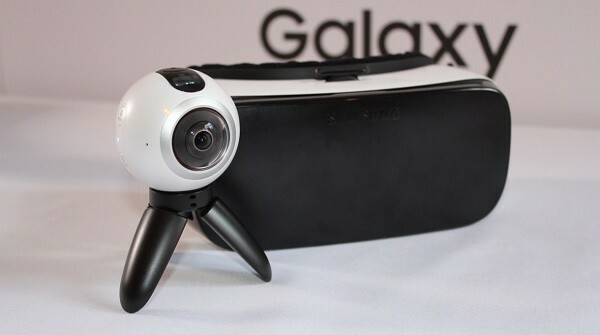 The Samsung Gear 360 is really designed to make taking panoramic videos and images a snap with the results being viewable on the Samsung Gear VR as parlayed in US$99 Samsung Gear VR in November 2015 is a fanboy’s VR Dream. Measuring 66.7mm x 56.2mm x 60mm and weighing in at 153g, inclusive of the 1.350 mAh Li-ion battery that charges by a USB 2.0 port, the lightweight Samsung Gear 360 is no featherweight when it comes to specs. It’s equipped a 0.5” (72 x 32) PMOLED display, allowing you to see what you’re filming. It’s 15 megapixel dual fisheye lenses are capable of capturing 3840 x 1920 resolution 360-degree video at 30fps that also 360-degree 30 megapixel still images. The Camera has Bright Lens F2.0, capable of filming creates high resolution images even in low-light conditions. Basically, this is a 360 Degree Camcorder! The user can create immersive videos and images while travelling, during restive occasions such as at the beach as its IP53 Certified Dust and Water Resistant. You can even use it to record everyday activity, which is easily saved on a 128GB microSD Card, allowing other to literally walk a mile in your shoes. The design of the Gear 360 puts it on par with other Samsung Cameras, such as the award-winning Samsung NX1 as described in Samsung NX1 wins 10th TIPA award. YouTubers will love the Gear 360, as it will allow them to create and upload VR (Virtual Reality) content to be enjoyed through Gear VR. The Light and compact, spherical shaped design, makes it a portable camera, with a user-friendly tripod as well as compatibility with a wider selection of accessories on the market. Even more interesting is that you can create 180 degree panorama images using only one side of the camera lens. 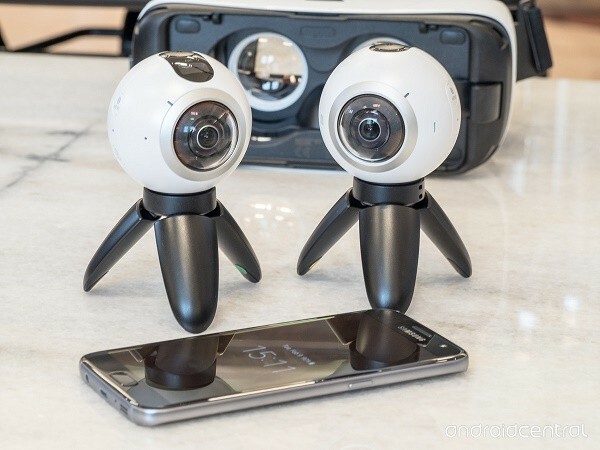 It also has real-time preview while recording when Gear 360 is synced with a Samsung smartphone using Wi-Fi 802.11 a/b/g/n/ac on the 2.4 or 5GHz band. It’s also packing Wi-Fi Direct, allowing you to stream your VR experience without the need of a Wi-Fi router. All this is possible thanks to the dedicated mobile app from the Galaxy Apps and Google Play Store. Once you’ve edited the video on a PC or laptop or even directly from your smartphone, you can upload it directly to your favourite social network. It can even be added to Google Streetview as a personal 360 degree video or image of a place you know very well. 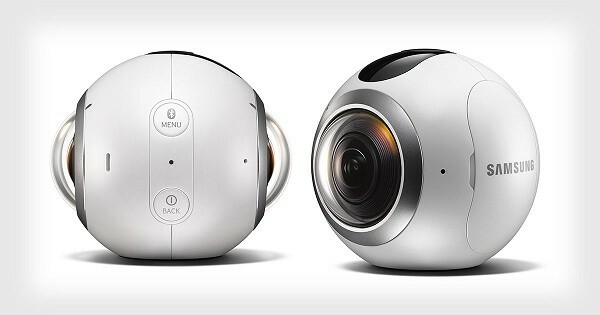 So if creating 360 Degree YouTube Videos is your thing then the Samsung Gear 360’s got you covered!